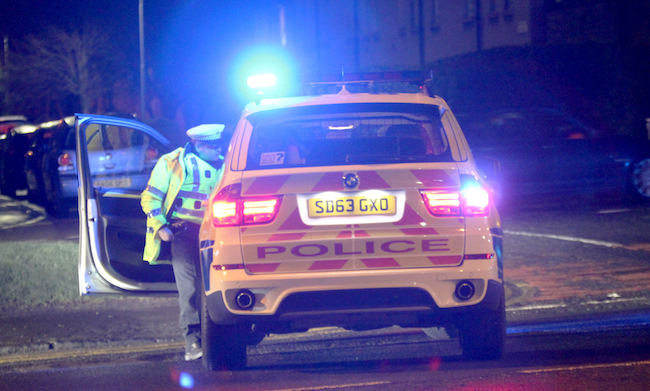 Police in Midlothian are appealing for witnesses following a fatal collision on the A68. The collision took place around 4.20pm on Friday 5 August, just south of the Cousland junction. A blue Ford Fiesta, travelling southbound, collided with a white Land Rover Discovery Sport that was travelling northbound. The 46-year-old driver of the Ford sadly died on impact, and her next of kin has now been informed. The 62-year-old driver of the Land Rover was taken to Edinburgh Royal Infirmary, where he remains in a serious condition. The road is closed from the Cousland junction to north of Pathhead, and local diversions are in place. It’s expected to remain closed for some time while collision investigations take place at the scene. Sergeant Neil Inglis of the Road Policing Unit said: “Tragically, this collision has resulted in a woman losing her life and a man being seriously injured. “We’re working to establish the circumstances surrounding this and anyone who maybe able to help is urged to get in touch as soon as possible.